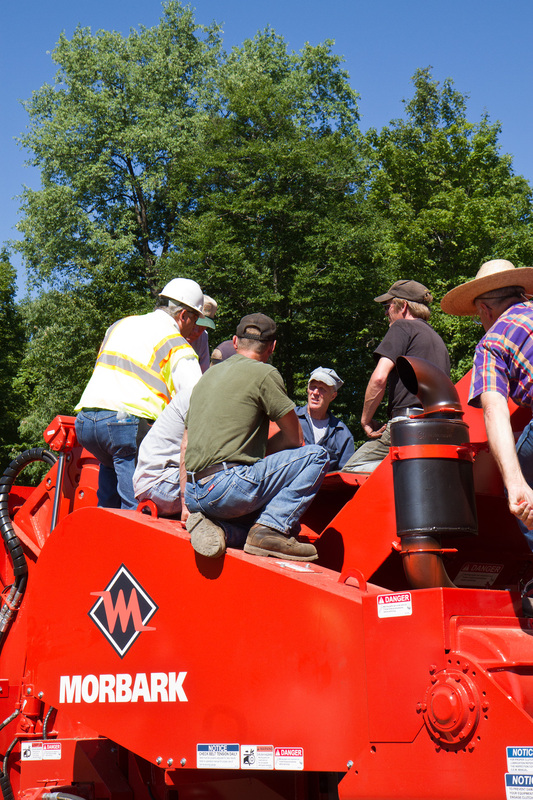 After performing a lock out/tag out safety procedure, Morbark Field Dealer Representative Robert Miller discusses the new Advantage 3 Drum on a Morbark 50/48B NCL Chipper. ReEnergy Holdings and Nortrax hosted loggers at a Demo Day on July 25, 2012 at the ReEnergy Lyonsdale facility in Lyon Falls, NY. Featured at the Demo Day were the John Deere 753J Feller Buncher and 848H Skidder, along with the Morbark Beever M20R Forestry Brush Chipper and Morbark 30/36, 40/36 and 50/48 Drum Chippers. 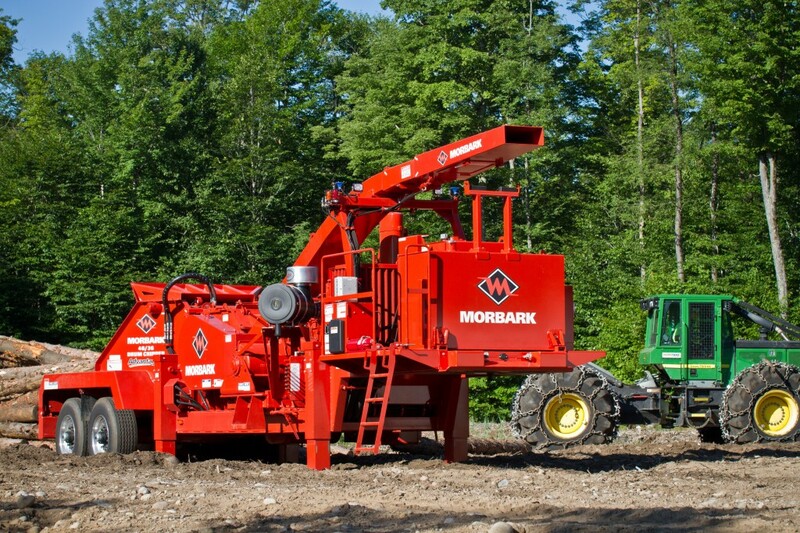 ReEnergy has launched a program allowing loggers to secure long-term agreements to provide fuel to ReEnergy while also procuring state-of-the-art Morbark wood chippers. Guests were treated to lunch and talked shop with experts from John Deere, Nortrax, Morbark and ReEnergy.